Paul Bley is an interesting and elusive figure in jazz. Yet somehow it’s hard to even avoid hearing people talk about him and his music. Just the other day I came across a version of Jazz.com’s “The Dozens” featuring Aaron Parks on Paul Bley. “The Dozens” is an occasional feature that lets musicians and/or critics pick 12 tracks representative of a particular artist or theme. Sometimes the choices and commentary can be very bland (the Steely Dan Dozens is terrible), but there are also some very worthwhile and illuminating posts. One of those is Aaron Parks on Paul Bley. I am by no means an expert on Paul Bley. I mean, how can you be? 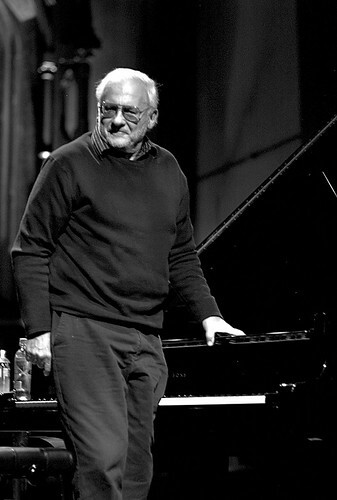 With over 130 recordings to his name, and having recorded everything form solo piano records to live synthesizer shows, Bley’s discography is one of the most physically and aesthetically daunting of any musician’s in the past century (Bley himself could only compare the sheer mass of his discography to that of Louis Armstrong). But still, I would say i’m pretty knowledgeable about his most important recordings. Yet Parks managed to come up with a list that I was mostly unfamiliar with, which is pretty exciting. And of course, no comprehensive Bley list could be complete without the famous solo on “All the Things You Are.” It’s interesting to hear Parks’ take on it. I also recently came across a very interesting radio interview with Mr. Bley from 2000. This was my first time hearing the pianist speak, and I was surprised (based on a lot of the stories I’ve heard about him) at how cordial and open he was. It’s not uncommon for artists who have been around and through as much as Bley has to be quite obtuse and prevaricatory in interviews that ask pretty basic questions, but Bley was more than willing to answer very open-ended and straightforward questions regarding his own development and the effect other artists have had on him and expound upon similar topics in very concise ways. I’ve always known that Bley has had experience playing with a veritable ‘who’s who’ of jazz throughout his career, but I was amazed at the sheer breadth of individuals that he mentioned having been lucky enough to play with. They included Ben Webster, Lester Young, Charlie Parker, Don Cherry, Ornette Coleman, Albert Ayler, Sun Ra, Archie Shepp, Evan Parker, Jaco Pastorious, Pat Metheny, John Abercrombie and even poets Allen Ginsburg and William Burroughs. A lot of these weren’t just one-off’s either. He recorded with Parker, hired Don Cherry and Ornette coleman for a band that became Ornette’s famous quartet after Bley left, ‘discovered’ Pat Metheny and even mentioned being quite close with Miles Davis. Bley had an interesting take on the development of free jazz, which he mentioned twice. According to Bley, there were two stages in this development. One occurred in 1958, when jazz began to lose form. The other occurred in 1964, when it began to lose meter. 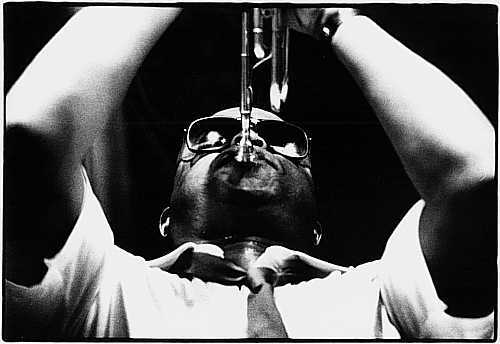 He loosely associates Coleman and Cherry with the former, and Cecil Taylor and Archie Shepp with the latter. Bley also had an interesting take on the role of the piano in free jazz. He seems to agree with Keith Jarrett (or Keith Jarrett agrees with him) that it is ‘impossible’ to play ‘free’ on piano. 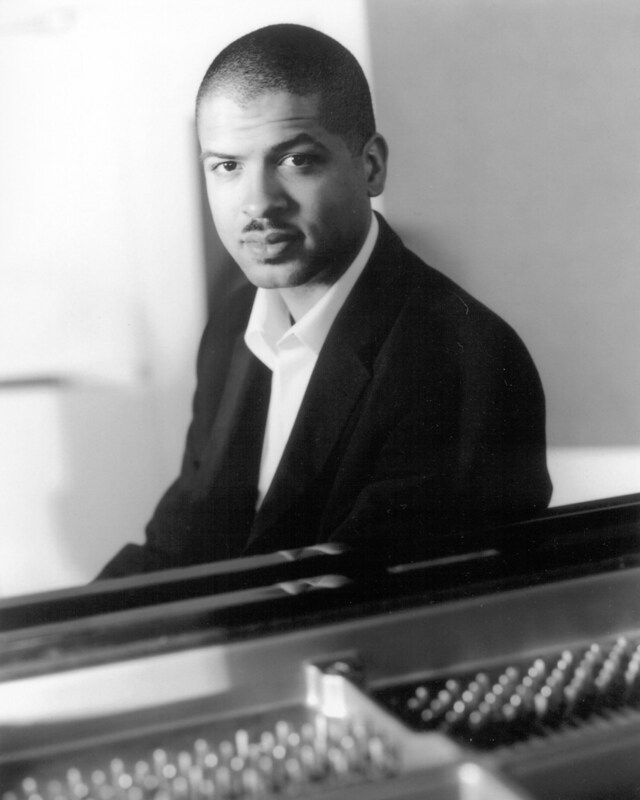 In his interview with Ethan Iverson, Jarrett says that Cecil Taylor ‘did everything he could’ in this regard. Bley seems to agree, and the interviewer contrasts Bley’s approach with that of Taylor’s. Bley talks about how the challenge of the pianist when Ornette’s group came out was to create sounds with the piano that could be altered/adjusted after they were created (I’m assuming he means the act of bending notes/creating polytones with one sonic output). He then briefly explains the difference between trying to do this with the piano itself as oppossed to using prepared piano. Bley offers the most concise explanation of why jazz is considered “America’s classical music” that I’ve ever heard. Responding to a comment about how his most recent work sounds very much like the work of early 20th century European classical composers for piano (Schoenberg, Webern), Bley remarked that his music was innately separate from classical music because what we call “classical music” is actually European classical music. What he means by this is that these composers were of a European influence. Bartok, for example, derived a lot of his compositions from European folk music, and Tchaikovsky from Russian folk music, etc. Jazz musicians, on the other hand, draw their influence from American folk music. Thus it is immediately a different type of music, if not just in name only. So, even though some of it might sound similar to European Classical music (Bley’s later work in particular), it is by definition jazz because it has grown out of an American Folk tradition: the blues. Most musicians desire to be labeled ‘original’ or ‘uncategorizable’, but few actually warrant such a characterization. Jim O’Rourke, however, would satisfy the qualifications for such a description. Allmusic.com labels him as a “post-classical composer”, but depending on the context from which you know him, he could be considered a pop producer, an alternative-rock bassist, a jazz musician, an electronic artist, an avante-garde musician…the list goes on. But what is most fascinating among all of this multi-faceted artist’s output is his own. Alone, O’rourke really is a sum of all his parts. He has a natural songwriting ability, but he can’t help but push the boundaries of convential form. He has a knack for straight-forward alternative pop, but at the same time feels the need to express his more creative components. And he understands the importance of a cohesive, artistic statement, but that doesn’t prevent him from wandering from what is expected. Among his many solo albums, Jim O’Rourke’s “Insignifance” stands as his magnum opus. Not because it is overtly adventurous or groundbreaking, but rather because it is a seamlessly concocted combination of a seemingly incompatible variety of sources and influences, and because in the end it just sounds so good. And again, think of what sum all of O’Rourke’s parts generates: Imagine Wilco meets Tortoise meets Sonic Youth meet Gastr del Sol with splashes of the Beatles and electronic surges straight out of Edgard Varese or Paul Lansky. That statement alone sounds overwhelming and seemingly impossible, but O’Rourke achieves it. It is easy, upon first listen, to discard this work as unambitious, considering what O’Rourke has strived for in the past, but that would be missing the point. O’Rourke might have expected such a reaction; after all, the title of the album seems to be a tongue-in-cheek reference to his own ‘backwards step’. But the beauty in this record actually lies in it’s ability to deceive. The music sounds so simple and familiar, but it is so rich in texture and individuality that the more one digs in, the more one realizes there isn’t anything else quite like it. “Therefore I Am” hits you early on in the album. Much of the song is a repetitive guitar riff that sounds like the best of an amateur garage band, but it is exactly this repetition, and what comes out of it, that makes the song so entrancing. When O’Rourke finally gets to the end of the chorus, what seemed to begin with one drummer and one guitarist has evolved into an orchestra of multiple drum sets, hand claps, layers upon layers of interlocking guitar parts, all complete with the obligatory “ooohs” and “aahhs”, only to resolve right back to where it started from. The layering of instruments continues into the beginning of “Memory Lame”, whose first minute is built out of a very Steve Reich-esque tapestry of guitars, eukeles, mandolins and god knows what else, before falling into an all too familiar pop sequence. O’Rourke uses the opposite approach with the final track, “Life Goes Off”, which begins with familiar movements but evolves into an extremely rich amalgam of instruments and harmonies before fluttering out in an electronic buzz. What the album as a whole communicates after even a single listen is that O’Rourke has an innate talent, respect, and love for pop music, enough so that he can leave it at its heart unchanged but also put in so much of his own effort and individual touches as to make it unique, special, and his own. Many thanks to a friend of mine for giving me this solo, acoustic version of “Africa.” Comparing this version to the studio version helps illustrate a lot interesting things about both D’Angelo and his seminal album,Voodoo. First of all, hearing D’Angelo alone at his piano helps reaffirm how great of a musician he really is. “Africa” has always been one of my favorite songs of his, and I was always curious about how much of it he actually wrote and how much came through in the studio. This version shows that D’Angelo pretty much had an exact idea of how he wanted the song to be presented. Everything that appears on the recording is here on the acoustic version, from the piano arpeggios in the beginning, to the descending hook the precedes each verse, to the call-and-response-type bridge. The composition was finished, but now it had to be given a nice ‘neo-soul’ gloss, and therein lies the problem. I’m not saying that the final take of “Africa’ is bad by any means; as I said before, It has always been one of my favorites. But comparing the acoustic piano version to the studio version shows that a lot of the original nuances and beauty are lost in attempting to commercialize and radio-prepare the song. First of all, listen to the choice of keyboards for the final take. Oh how I long for the musical limitations of the 70’s again. But do I? Neo-soul artists are exactly what they say they are. 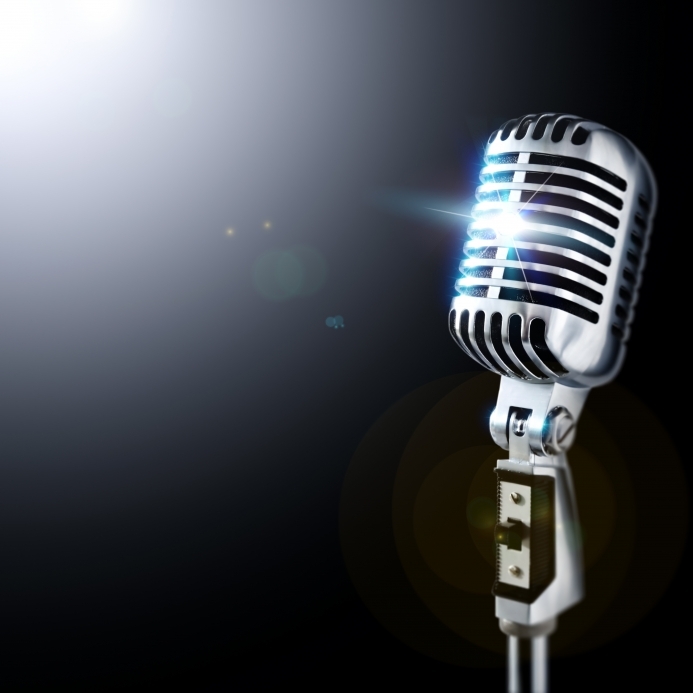 They are a modern-day resurgence of the classic soul composers and singers of the late 60’s and 70’s. But in those days, moving from the piano to the studio wasn’t as much of a drastic change. A fender Rhodes, an electric bass, some guitars, and some clever drum mic placements were the only the things that changed. But today, the choices studios present to artists are endless. From the mic choices to the keyboard choices to the endless post-production options, the amount of possibilities presented to artists make some things a lot easier and others infinitely harder. So, what is that keyboard sound they settled on? And why did they choose it? I don’t really know. It’s certainly not a Rhodes, and it bears very little resemblance to a piano. But does it work? Certainly. However other production decisions didn’t go down as well. One that stands out throughout the entire album, and something that had crossed my mind before, is the use of D’angelo’s main instrument: his voice. 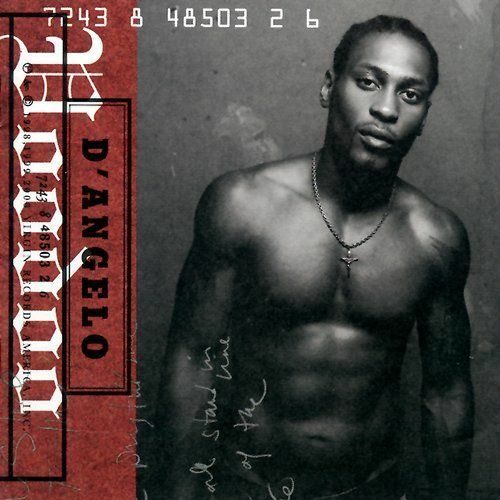 If someone who had never heard D’Angelo before picked up Voodoo, I doubt one of the first things they would say about him is that he is a great singer. That seems a strange thing to say about a successful neo-soul artist, but it’s not because D’angelo isn’t a good singer, it’s just about the way the producers decided to utilize his voice on this album. He is almost always singing in falsetto, and when he isn’t, his voice is often layered, at least 3 times. This choice wasn’t necessarily a bad one, it was just a theme they were going for. But listening to D’angelo sing alone at the piano shows that he has a much greater range than is audible on the recording, and it makes me wish that they had left some room for his lower register to ring out on the final takes. Also, the harmonies, which are supposed to highlight specific areas, tend to do the exact opposite. When singing alone on the acoustic version, you hear the call at the beginning of the bridge “and this day will come” come up from the lower register and be responded to by a descending falsetto. Cleary, D’Angelo was trying to illustrate that this would perhaps be a call-and-response between backup singers and himself, but there were no backup singers on the final take. Just D’Angelo himself. And so in the end the “and this day will come” call becomes a cloudy layer of his own voice, and I had actually never felt the full effect of this repeating call until I heard just D’Angelo alone at the piano. What hearing this acoustic take shows most of all though, is how good of a songwriter D’angelo is. “Africa” shows simple influences, but is masterful in its final harmonic form. There is no clear ‘melody’, but the varying melodies that D’angelo sings over the strict harmonic structure all create a perfect balance. The bridge is especially powerful, with the slight modulation at the end of the form highlighting a very clever use of tension. Really, this is the quintessential neo-soul song. The composition itself sounds like it could have been written in the heyday of soul, but D’Angelo made a conscious and pain-staking effort to modernize and individualize it, and in the end he did achieve a great balance between traditional song-writing and modern production. – One of these tracks appears on an album recorded between 1995 and 1999 but not released until 2001, and the other is from an album from 2006. – The tracks do appear in chronological order. – Both artists have openly displayed a respect for the other’s style of music.